To all the veterans out there, I offer my sincere thanks for your service. I was born in 1944, during World War II. In the postwar years, every kid I knew had a family member who served in the military during WWII, most only their fathers, but a few mothers also served in the military. So fresh on everyone’s memory, WWII was a subject of great interest to us kids, especially the boys and no doubt many of the girls, as well. Some of the veterans we knew would (could) not talk about their experiences, but others did, and perhaps had a need to speak of what they went through. Some of the stories were of harrowing experiences, and some were funny. One of the most interesting stories was one told by my wife’s father, Bobby Cristina, of when he was shot down over Sicily. 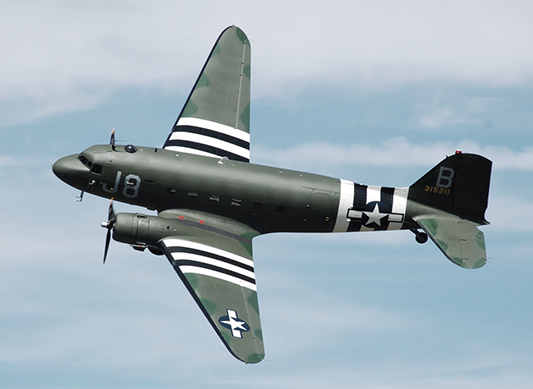 Bobby was a pilot and flew C-47s, which were the most advanced airliners of the prewar period, the Douglas DC3. Many airlines turned their DC3s over to Uncle Sam, and they became C-47 Skytrains, the workhorses of the war. They were such a great design and so easy to service, many are still in use in countries with limited repair resources. It was on the night of the third day of the invasion of Sicily. Field Marshal Bernard Montgomery’s British 8th Army was making headway up the east coast of Sicily but faced a daunting obstacle, the Simeto River. One bridge crossed it, the Primosole Bridge. Monty needed to capture that bridge intact to use to cross the Simeto, or his advance would be stalled until another could be built by engineers. British paratroopers of the 1st Parachute Brigade of the 1st Airborne Division were to be dropped around the bridge to capture it and hold it until Monty and the rest of the 8th Army arrived. One hundred and five American C-47 aircraft of the 60th, 62nd, and 64th Troop Carrier Groups, plus twelve British aircraft towing gliders were to carry the British paras to the objective in what was called Operation Fustian. The aircraft were routed right over the invasion fleet just offshore and were mistaken for Germans and fired upon by the Allies. This very situation had been encountered only a few days earlier on the first day of the invasion with similar disastrous results, something Bobby stood up in the briefing and pointed out. But he was told that would not happen again. But it did. Four aircraft were shot down, and nine were so badly damaged they had to return to North Africa. Surviving aircraft formations had become disorganized, and the remaining force straggled over the coast for the drop zone (DZ). Lieutenant Cristina’s C-47 was one of them. He told me, “Lane, as we crossed the coast (in the dark), the tracers were coming up all around us. It looked like someone had stoked a fire sending embers up the chimney.” Tracer bullets have burning phosphorus in the base for the gunners to see where the rounds are going. They are usually every fifth round, so for every one you see, there are at least four more you do not see. What the Allies were unaware of is that very day the Germans had brought in their 1st Parachute Division for the purpose of defending that bridge. Thirty-seven planes were shot down, and ten were so badly shot up with dead and wounded crews and paratroopers onboard they had to abort and return to Africa. Nearly half of the assaulting force was lost—shot down or forced to abort because of damage! Bobby’s plane was hit many times. Their radio operator was dead, and several paras were wounded as they approached the DZ, which was only a little ways inland. Bobby managed to find it and get his paratroopers out. All the while they were facing concentrated antiaircraft fire from the Germans. The op plan called for them to make a one-eighty degree turn after dropping the paratroopers and egress the same way they went in. Neither Bobby nor his copilot thought that was a very good idea under the circumstances and decided to keep going west and then head south for their base in North Africa. While the aircraft was badly damaged, it was still airworthy—until it was hit in the nose by antiaircraft fire, which started a fire onboard. With that, they had to abandon the aircraft and bail out. They had dropped the paras at a low altitude and had slipped even lower when they were hit in the nose. Bobby ordered his copilot out while he managed the wounded C-47 with the cockpit filled with smoke and flames. He gave the copilot what he thought was enough time to get out, and since he figured he was very close to the ground, he pulled the nose of the aircraft up to gain some altitude before he jumped. He climbed out of his seat and put on his parachute, only to discover it didn’t fit. His copilot, a much shorter man, had grabbed the wrong parachute. Bobby squeezed his long and lanky frame into the very tight harness and headed for the rear door to bail out. By then the plane had rolled over on its side and was headed for the deck as Bobby ran along the windows on the left side of the plane to the side door. 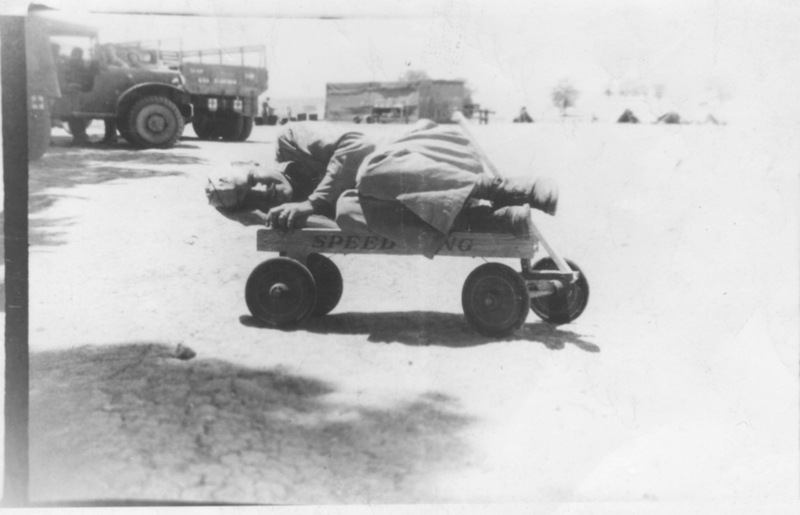 There he found his crew chief with a head wound and out cold. Bobby pushed him out the side door, which then faced the ground, and pulled his rip cord as he did. Bobby dropped through the door right after him, and knowing he was very close to the ground, he pulled his own rip cord, risking getting his chute fouled on the tail of the plane. He fell into the night, and his chute streamed overhead. After what seemed like an agonizingly long time, it finally blossomed and filled with air—violently stopping his free fall—just as his feet touched the ground. One second longer, and he would have splattered. With his plane crashed and burning a few hundred yards away and Germans all around, he crawled on his belly in the dark and found a hay stack to hide in. After it got quiet, he crawled out and found his crew chief also crawling around on his belly. He had survived the jump and was conscious again. They hid in a bomb crater all day without water or food. By night their tongues were swollen, and they crawled on their bellies to a farm house where they sought aid for the crew chief’s head wound and Bobby’s burns. The Italian family offered to hide them from the Germans, but they refused, knowing if the Germans found them hiding the Americans, they would kill the whole family. The much relieved Italians promptly surrendered to the much relieved Americans. Later after Sicily was secured, Bobby returned to the crash site. 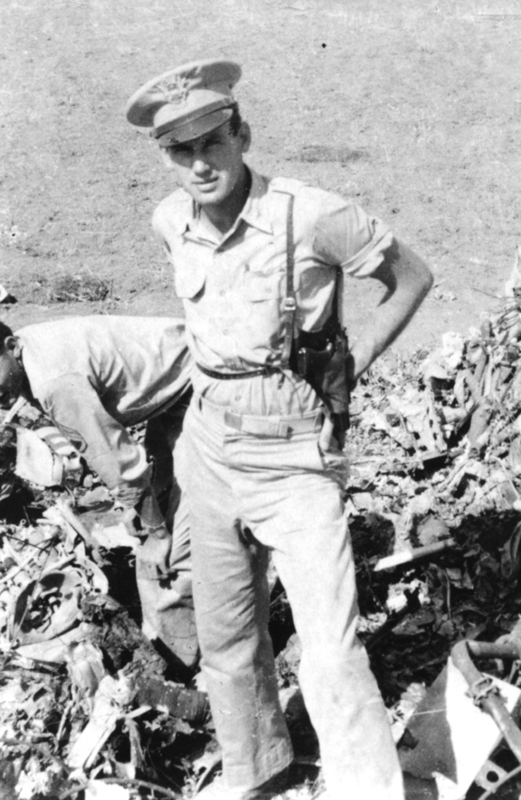 The pic below is of him standing on the wreckage of his C-47. The copilot who jumped with the wrong chute died. His chute didn’t open. Whether it malfunctioned, or he was too close to the ground and he failed to pull the rip cord in time, is unknown. Some of the British paratroopers landed as much as twelve miles from the DZ, but two companies managed to land close to the bridge and did take it—and held it for Montgomery. Bobby was awarded the Purple Heart for his wounds and the Silver Star for his heroic actions that night when he attempted to save the life of his copilot and did save the life of his crew chief—plus taking fourteen Italian prisoners. And by the way, he was unarmed. He had left his pistol back in the barracks in North Africa. Great description of this American hero! Thanks for sharing.